So, after an amazing trip in Cancun Mexico, my friends and I were looking for our next destination. In the past I saw a few travel videos about Lanzarote, which showcased the lifestyle and beautiful scenery. This content stuck with me, especially the images of the landscape. So after debating our next destination, we decided on Lanzarote. I got in contact with Lanzarote Tourism and Jet2.com to see if they would be interested in a collaboration. They saw previous travel videos I made and enjoyed the content.So they came on board to sponsor this project. This was my first time travelling with Jet2.com and I must say it was a great experience. The customer helpers at the desk and staff on board the flight were very friendly and helpful. We hired a car from Cabera Medina, which we used to drive around the Island. We stayed in a beautiful private villa in Nazaret, hosted by The Villas Lanzarote. The villa has a private pool, sauna and 10 luxurios rooms. My team and I were constantly on the road and had many beautiful landscapes to capture. My two models for the shoot were Kristi Gor and Mario Kadd. I had given them a few instructions on how I wanted them to move and express themselves on camera but majority of the time I let them explore the Island, interact with one another and the atmosphere as I continuously shot, to capture candid moments and an organic chemistry. 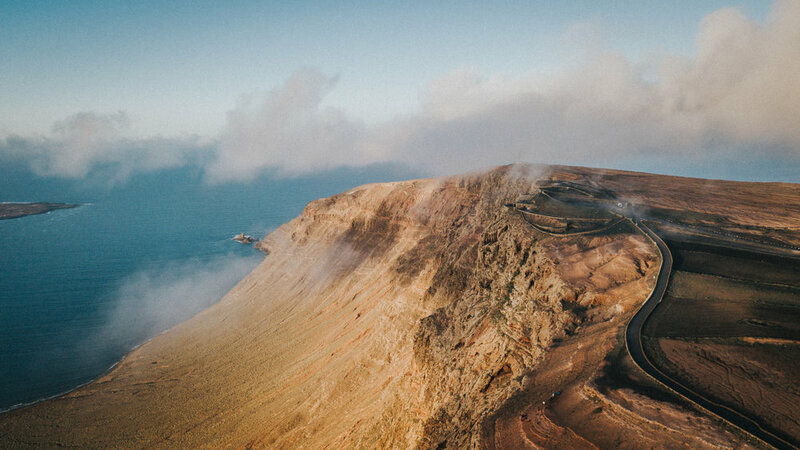 The places we visited were; Arrecife, Nazaret, Yaiza Road, Papagayo beach, Telamon ship wreck, lagomar museum, Cueva de los verdes, Famara beach, Fuerteventura and Mirador del rio were you can capture a breath-taking view of La Graciosa Island. We had five days to travel and shoot around the Island and we made the most of it. In the evenings we visited Arrecife city, to relax and enjoy the many restaurants they have and the nightlife. The thing I loved the most about Lanzarote was the Islands natural beauty, from the landscapes to the beaches and it has a nice blend of urban lifestyle, markets and fun family excursions. In march the weather was nice and hot, averaging at 24 degrees. The Island has plenty of great spots to capture beautiful sunsets and two places I highly recommend for this are Mirador del rio and Papagayo beach.